“I always wanted to do a painting of that dinner, but could not bear to do a totally indoor scene for my annual winter snow print. 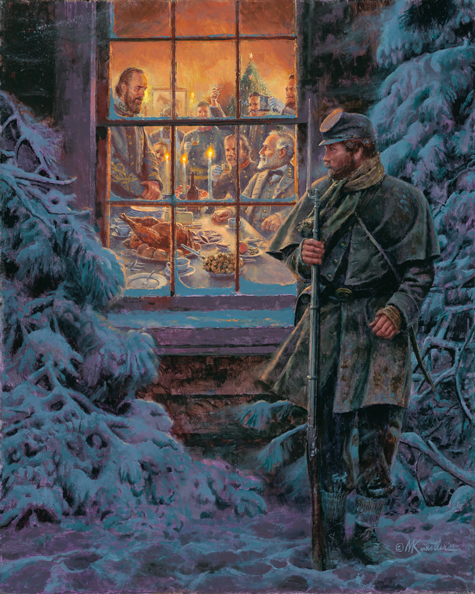 After years of trying to come up with a composition that would say ‘snow’ and ‘Christmas dinner,’ I finally composed this painting. It was inspired by the single paragraph in Douglas Southall Freeman’s monumental biography of Robert E. Lee.